Richard “Curly” Burl Goodale, 61, of Tipton passed away peacefully on Friday morning, November 16, 2018 in his home with his family by his side. Funeral services will be held on Wednesday, November 21st at 11:00 am at the Fry Funeral Home, Tipton, with cremation to follow. Visitation for Richard will be held on Tuesday, November 20th from 4:00 to 7:00 pm at Fry’s. 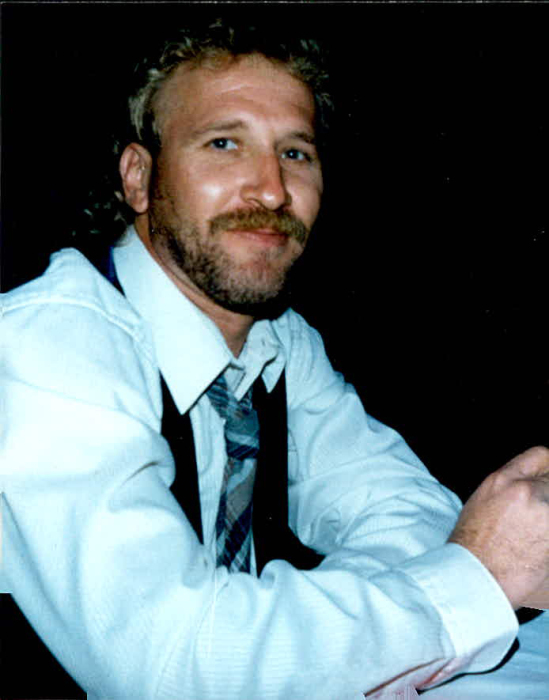 Richard was the son of Kenneth Burl and Ruby Lucille Boggess Goodale He was born on December 13, 1956 in Osage, Iowa. Richard graduated from Osage High School with the Class of 1975 and was confirmed at Sacred Heart Catholic Church in Osage. He completed the Ironworkers Apprenticeship program, reaching Journeyman status. He was a 37 year member of the Ironworker’s Local 89, and was proud to be an ironworker. He always said going to work was an adventure. A couple of his memorable jobs were the Carver Hawkeye Arena and the moving of the presses at the Cedar Rapids Gazette. Richard was united in marriage to Nancy Renee’ Bennett on June 18, 1988 in Mt. Vernon, Iowa. Together with his wife, Nancy, he owned and operated Cedar Valley Stables for 24 years. At the stables, Richard was the ‘cowboy’, the horseman of the ranch. He dedicated his life to the care of his horses, dogs, cats and wildlife at the ranch. He enjoyed the history of the land, collecting arrowheads and feathers while hunting, fishing or just walking the trails. He was a soft spoken man, and a mentor to many. Richard is survived by his wife, Nancy Bennett Goodale; his father, Kenneth Goodale; his brothers, Russ, Ralph, Ron (Debbie), Regi (Angie) and Rod Goodale; his sister, Roxanne (Donnie) Tussler; mother in law, Jo Bennett, sister in law, Becky Bunting; brothers in law, Bob, John, Jim (Vicky), David (Vonnie), Donnie (Amy) Bennett; 64 nieces and nephews; the Ranch family and many friends. Richard was preceded in death by his mother, Ruby; his brother, Robert; his father-in-law, Willard Bennett and his sister-in-law, Denise Hanna-Bennett. A Go Fund Me page has been established in his memory. Online condolences may be shared at www.fryfuneralhome.com.